BREMEN, GA (KTRK) -- A song provided students the comfort they needed to survive severe storms. When a tornado touched down near Atlanta, the students at Bremen High School in Bremen did what hundreds of students did across the region - they took cover in their school hallway - sitting on the floor in a line directly facing each other. Some students dazed into their cell phones, while others just sat and waited. As the sounds of the severe weather surrounded the school, the students found a way to drown out the noise with a simple Christmas hymn. They sang a beautiful acapella version of 'Mary Did You Know.' The song has comforted people throughout the ages and helped the students temporarily focus on a world without knocked down trees and destroyed power lines linked to the storm. Bremen High School teacher, Jessica Pruitt Labbe recorded the special moment with her cell phone. She posted the entire 2 minute, 35 second song on Facebook with the caption, "Who is afraid during a tornado watch/warning at BHS...not me because I'm reassured and reminded today that Mary's baby boy has got this!" Within a few hours, her post was shared more than 2,000 times. "I'm so proud of my babies," said Pruitt. 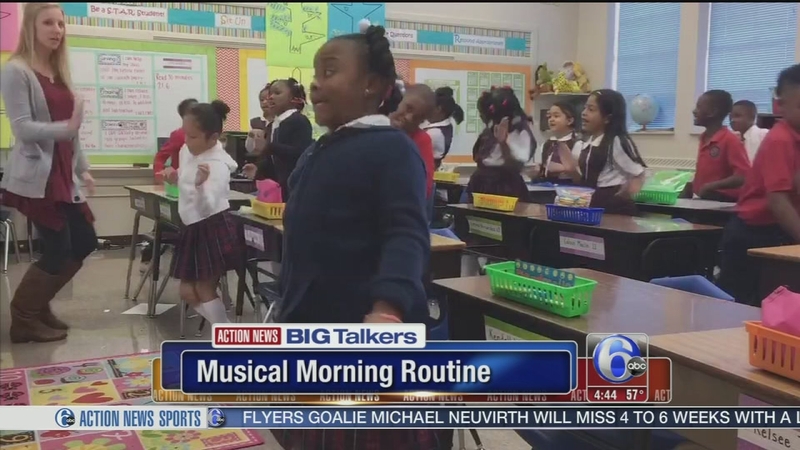 An elementary school in Tennessee has a pretty motivational - and musical - morning routine.